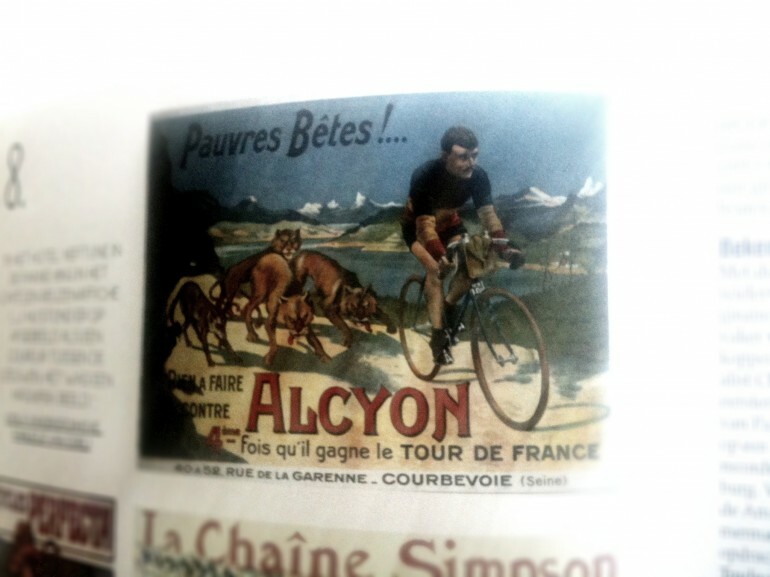 It was while reading the first edition of “Etappe”, the brand new magazine produced by Wiemu, that I discovered a poster ad of the French cycling brand Alcyon from 1912 named ‘pauvres bêtes’ featuring Odiel Defraeye in a his Belgian tricolor. 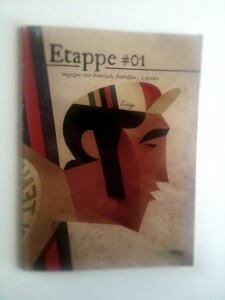 Later on, I also found some pictures in black and white but clearly showing the tricolor. This proves that already in 1911, only 17 years after the very first national cycling champion Léon Houa was crowned, the official champion jersey was oriented horizontally. In the same magazine I noticed something peculiar: In a cartoon featuring Odiel, the colors of his champion jersey are in a different order. The black is on the bottom, not on top of his shirt. Strange, right? Only one way to find out what was going on: Let’s contact Wiemu and hope they know the answer. How strong is the Belgian brand?